Have your head-to-toe style sorted with these one piece wonders. We’ve got casual day time looks ready to layer up, or daring plunge-neck jumpsuits which are sure to turn heads wherever you go. Have your head-to-toe style sorted with these one-piece wonders. We’ve got casual daytime looks ready to layer up or daring plunge-neck jumpsuits that are sure to turn heads wherever you go. 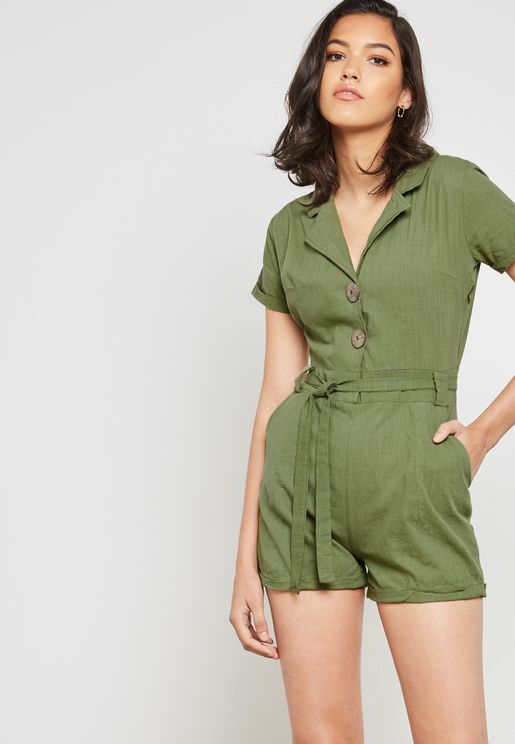 Jumpsuits and playsuits are flattering, versatile, stylish, and easy to wear throughout every season. By day, all-in-one outfits can be dressed up or down with sandals, flats, boots, wedges, and accessories such as hats, scarves and boho jewellery. By night, this look can be surprisingly elegant, teeming well with strappy stilettos, mules, chunky heels, heeled boots and evening bags. Whether you prefer yours short, mid-length or long, we have just the right style to suit the occasion. Browse our collection of top brands to find Dorothy Perkins, Ella, Forever 21, Ginger, Lost Ink, MANGO, Mela London, Miss Selfridge, Missguided, New Look, Only, QUIZ, Topshop, Wallis, and many others in store. We cater to every size from petite to tall and plus size. 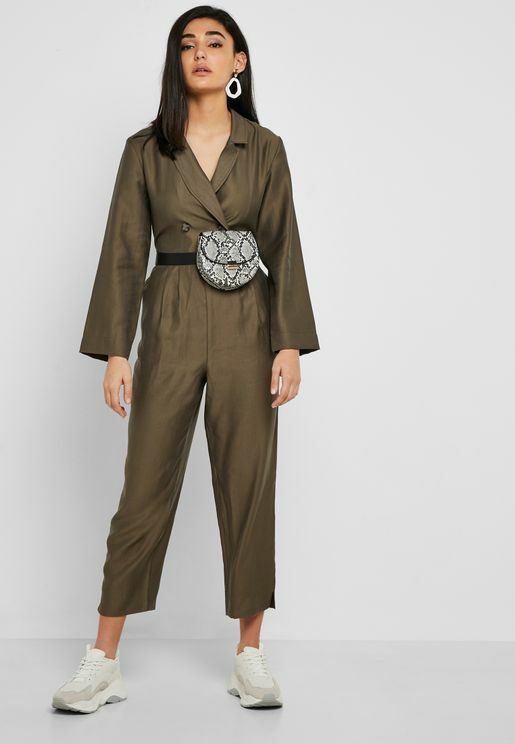 Use the handy side menu to shop by size or browse our full range of jumpsuits for women to see what we currently have in store. Namshi brings you over a thousand ladies jumpsuits in a diverse range of styles, colours, fabrics and fits. Inject some colour into your look with a bold floral jumpsuit dress. 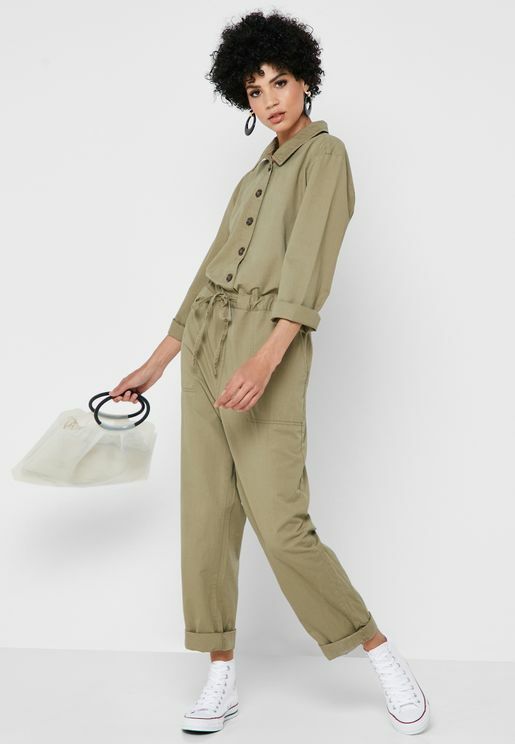 Keep it simple with solid colour women's jumpsuits in classic hues such as black, white, red, and green. Add unexpected detail with cut-out bodices, lush fabrics, plunging necklines, and bare shoulders. However you wear your one-piece, Namshi makes it easier than ever to buy jumpsuits online.